A trendy pocket square that will appeal not just to the tie aficionado! the black and espresso browns are combined with a contemporary gingham check - a combination that is best highlighted when worn with a charcoal gray or solid black suit. 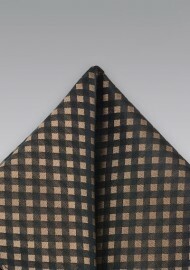 We at Ties-Necktie.com also offer the matching gingham checkered tie. Like the design but not the color? 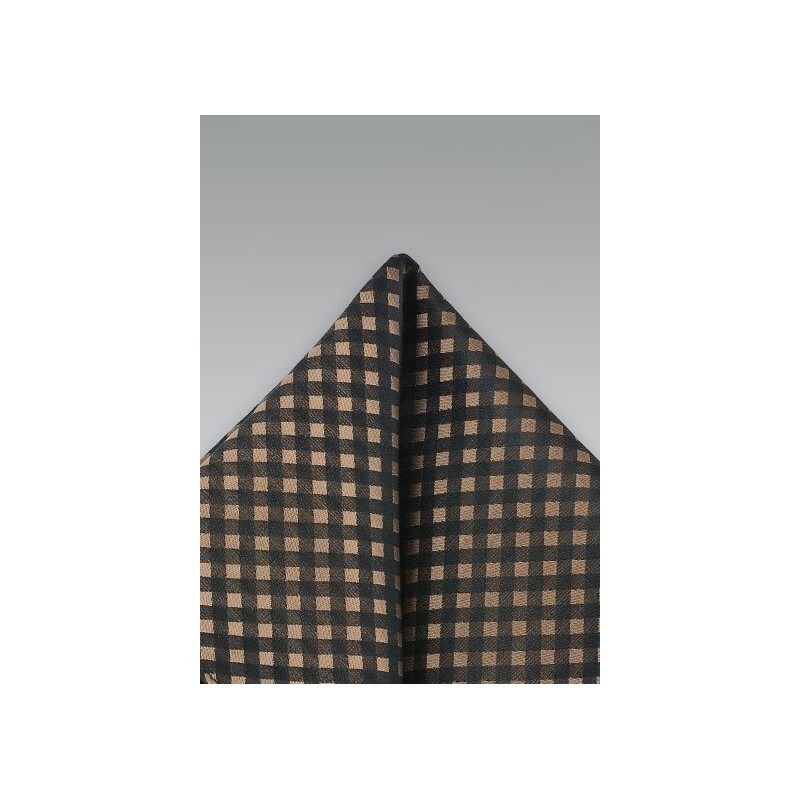 Then please also have a look at this Black & Gray Check Pocket Square. Made from 100% woven silk.